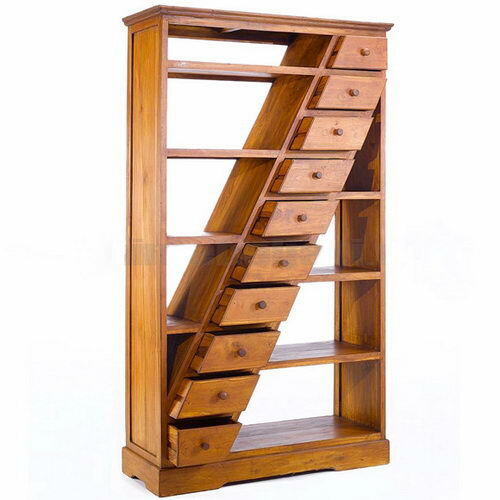 A cupboard for displaying books have very unique sloping tiered drawers made of teak wood finishing options present the appearance of natural colors attractive and elegant. Alluring look can also be applied to partition the space. 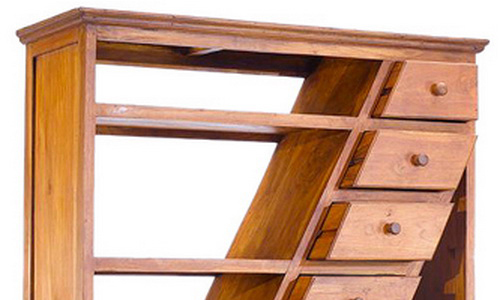 Furniture made from natural wood is very suitably placed in the room of house with a simple and modern design. Process of using hands after dried first to reach a maximum dryness level so it is very sturdy. 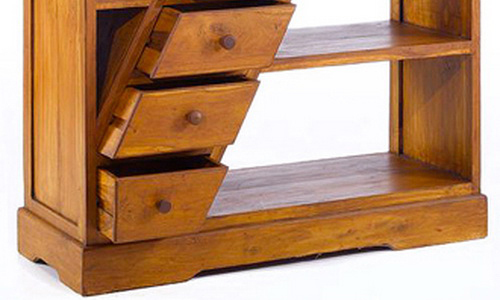 Bookcase minimalist model diagonal drawer is made of teak wood is certified by the Indonesian government. The use of color and natural finishing melamine with original sketch led to the tree natural. Dimension 190 cm high, 40 cm depth and 100 cm wide, tropical teak wood material which is legendary so strong hold ranks of books. Minimalist and modern style but feel of the classic classy rooms of your home.